UPDATE - 10:29PM - Winnipeg police report Teck Burke as been safely located. UPDATED at 3:33PM - Winnipeg police have provided additional pictures which show the jacket and hat Burke was last seen wearing. Burke's current hair length is believed to be shorter than shown in the first picture but still close to neck-length. 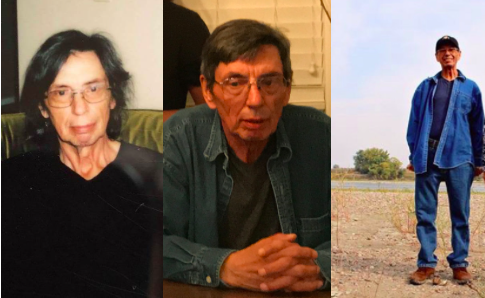 WINNIPEG - Police are asking for the public's help locating a missing 65-year-old man, Teck Burke, from Winnipeg. Burke suffers from dementia and police are concerned for his well-being. He was last seen on April 21st, 2018, at approximately 1:30 p.m. in the 300 block of Poplar Avenue (Elmwood Area). Police said Burke is described as Indigenous in appearance, 5'11" in height, with a thin build, neck-length black hair and has prescription glasses. He was last seen wearing an Ottawa Senators hat and a jean jacket. Police are asking anyone with information regarding his whereabouts to call the police non-emergency number at 204-986-6222.